Anyone interested in architecture knows Le Corbusier, and even if you aren’t you are probably familiar with his black leather and chrome office chairs (or rip-offs thereof). 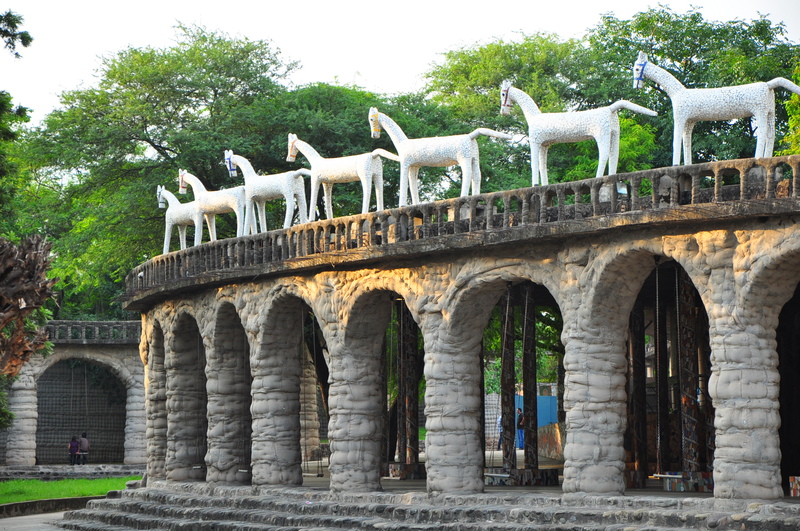 After Partition, Punjab’s former capital, Lahore, ended up on the other side of the Pakistan border. So the local authorities decided to plan a new city. Two American architects came up with basic designs, but then one was killed in a plane accident, so that’s when Le Corbusier came on board. Le Corbusier was born in Switzerland in 1887, later to become a French citizen. He abandoned his birth name of Charles-Edouard Jeanneret, adopting a pseudonym, which the author/designer/artist said was derived from an ancestor, but also means crow, or crow-like. He worked with what the Americans had done to plan a city with green belts, roads to certain levels of traffic and land use around sectors. Each sector is approximately 1.2km by 800m, enclosing 250 acres. Sector 17 is where you find the main shopping district. And at least one semi-decent coffee place. Chandigarh has some good restaurants, but I can’t appreciate them that much because most of the time I have no appetite. For whole days I have no interest in food. This frees up a lot of time, although I am slightly disturbed by this. Then a virus takes hold and fills my head with mucous and all I really want to do is sleep. However I do manage to get to the Le Corbusier Centre and the Chandigarh Architecture Museum, which gives a good picture of how the metropolis came about. 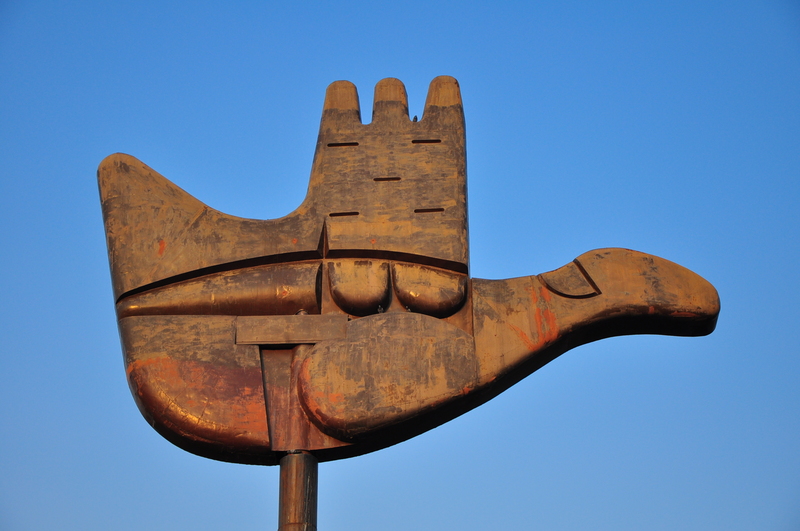 Le Corbusier visualized the city as a human body and near the city’s ‘head’ you find the man-made Sukhna Lake with the Capitol Complex the skull. 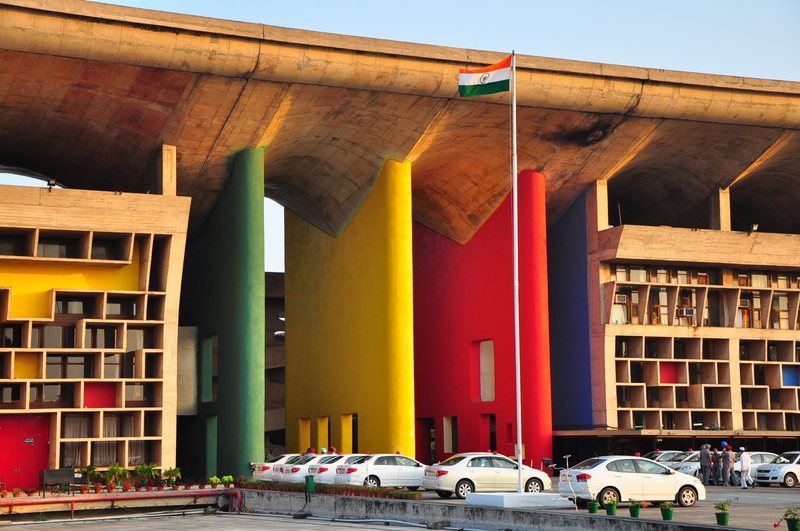 The complex is made up of three masterful Corbusier buildings: the High Court (1951-57), the Secretariat (1953-59) and the Legislative Assembly, with the city’s symbol, the Open Hand sculpture found near the High Court. 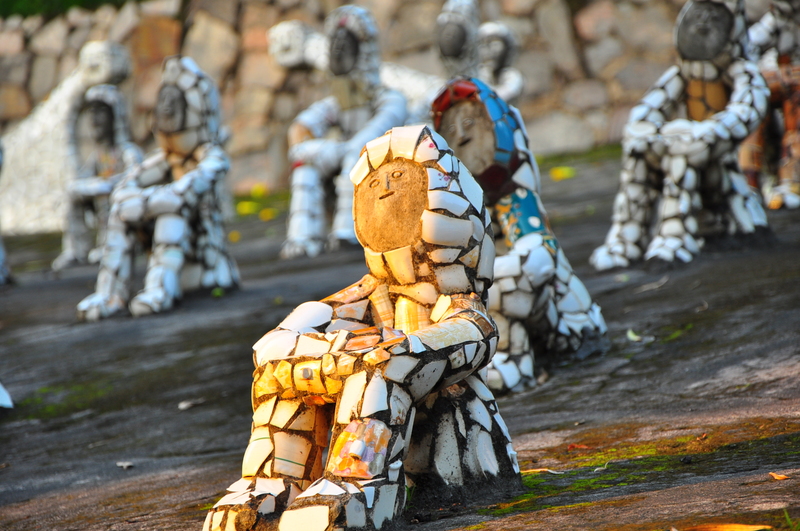 Back in the upper torso thousands of people come to admire Nek Chand’s Rock Garden. A road inspector from Pakistan, Chand was struck by the amount of waste created by the clearance of villages to build Chandigarh. So he took the rubble and started making figures out of it. He went on making animals, dancing women and chai drinkers for the next 15 years until a government survey crew found them in 1973. The garden was unauthorized and occupying government land, but luckily the local council saw it as an asset. Then Chand was given a salary and labourers to continue his work, which he also does in his spare time because he says it’s what he loves. In an interview he said he was not making an artistic statement, but just doing what he needs to do. With no formal education beyond high school, he says his ideas ‘are a gift from God’. 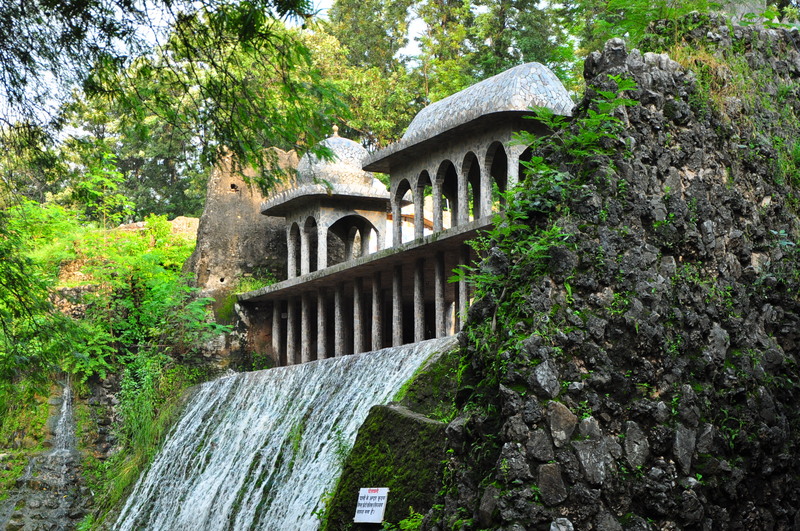 The Rock Garden is lovely to wander through, with waterfalls and paths and an ever-evolving array of sculptures. 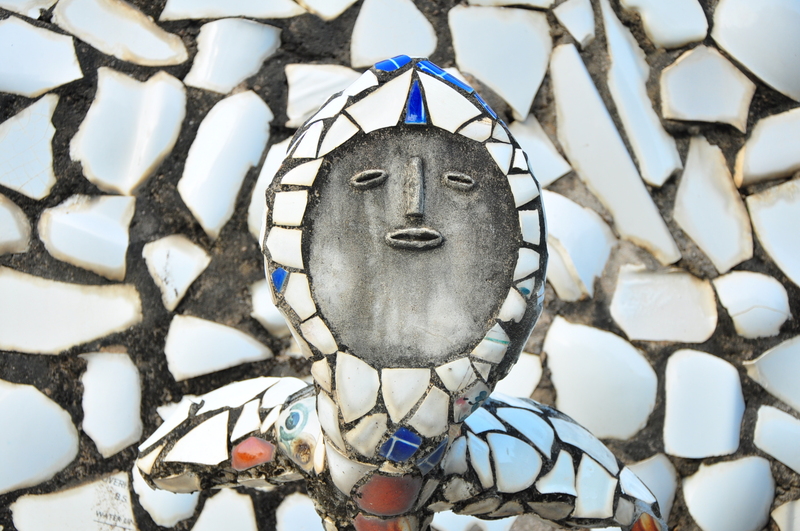 I thought of the Catalan architect Gaudi and his use of mosaics, but I don’t think Chand has ever been near Barcelona. It was inspiring though to see what someone could create out of what most people would simply class as just rubbish. I see that you missed out on Rishikesh and Haridwar! You should plan a visit to these spiritual centers next time you are in India. Indiatripping will be obliged to assist you in your quests! I’m still in India. I just haven’t got to those places. So how do you plan to assist? Take me there on a donkey? I’m in McLeod Ganj now. Lots of donkey-like creatures here! ha ha! no donkeys here, only cows! If u want i can arrange a visit for you to the various temples of rishikesh and haridwar! If you are interested in yoga, its the best place to be(i.e rishikesh). Do mail me any queries u might have on kuldeep.kilam@gmail.com. NO DONKEYS!!! What kind of place is this? I want donkey yoga! But thanks for your offer. I’ll let you know when I am heading that way. Clip clop. Your sense of humor is really charming!